Nothing for me tonight but that is mostly to do with Seawheeze coming this Friday and Saturday so I need to save my money. Besides that, nothing really caught my eye anyways. I’m curious to try on the CRB II for a proper fit review but I’m out of town anyways so I can just try one on when I’m in town again. Did you order anything tonight? "While We Wait For The Upload"
"Pace Rival Crop *Marathon, Fast As Light Singlet, Power Purple And True Red Swiftly Racerback Tanks, Circuit Breaker Skirt"
Good thing I forgot about the time and I didn't wait for the upload. That's ok, while they are fumbling around I placed an order with a different company that doesn't have any ridiculous issues!!! Does anyone know any crb dupes out there? Thanks! 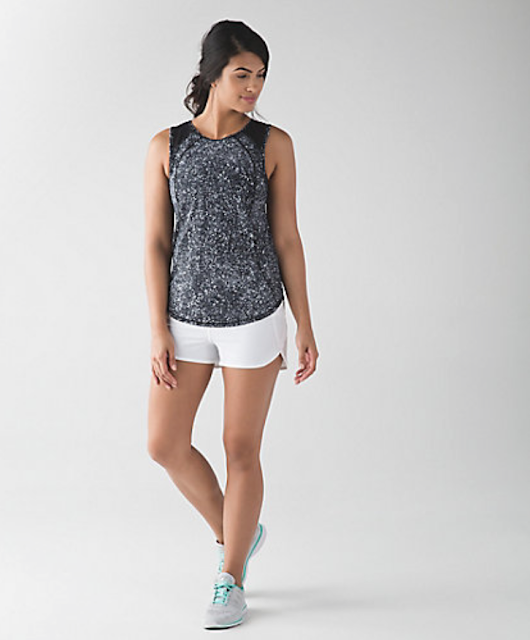 Splits59 Ashby tank! And it's only $45. 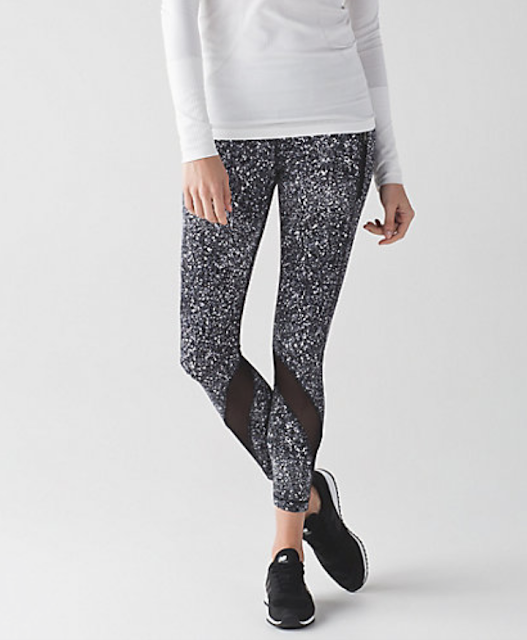 Nordstrom also carries the Splits59 brand. There are some by 90 degrees on Amazon. It's a racer back and it's a dupe for sure. The fabric is fantastic and so is the color selection. I have a couple and will by more. 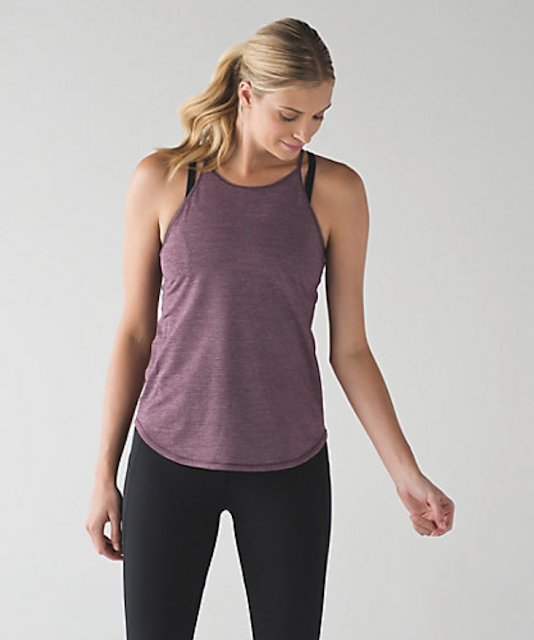 @Janine57, MEC (mountain equipment co-op) "Sequence Tank" (some are on sale right now, $18-$29); Karma Athletics "Pranayama Racerback ii" solid $40, printed $48 (they have a bit of ruching at the sides, at the bottom); NUX "Freedom T Back"; LOLE has the "Profile Tank" but it's not a racerback and has some extra seaming (however, it's on sale at $30), and the "Fancy Tank" (but it has a built-in, I believe. They normally specify "no support" when it doesn't, like the Profile Tank description). Can you tell how much I abhor the CRBii that I've done some research? 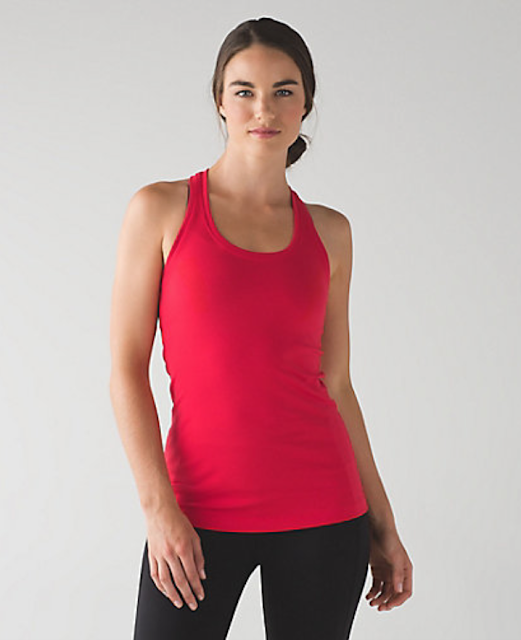 I have seen some 90 Degrees tanks in Winners/Marshalls, almost a dead ringer for a CRB. Didn't buy one yet but would if I came across a colour I love like an awesome yellow, red, green. Great list! Do you know which ones are at least as long as the CRB? 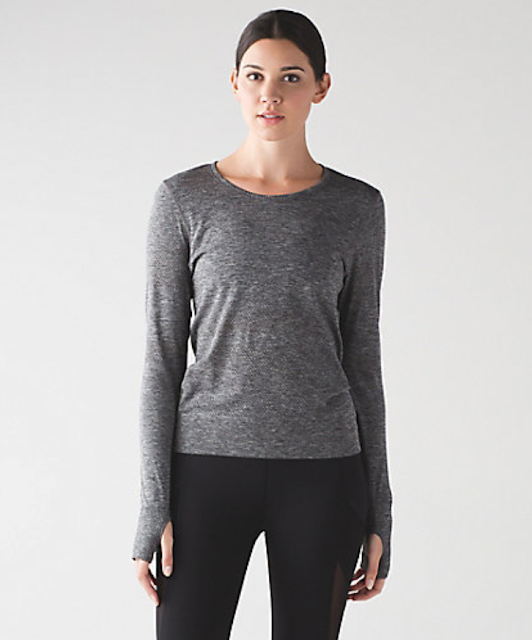 That's why I keep buying lulu – it's the only one that is long enough for my torso. Nike makes a bunch but the Nike Balance is less than $20 right now on the website. I've had mine for at least 5 years and it's still going strong. I use it mostly for training and it does not ride up. 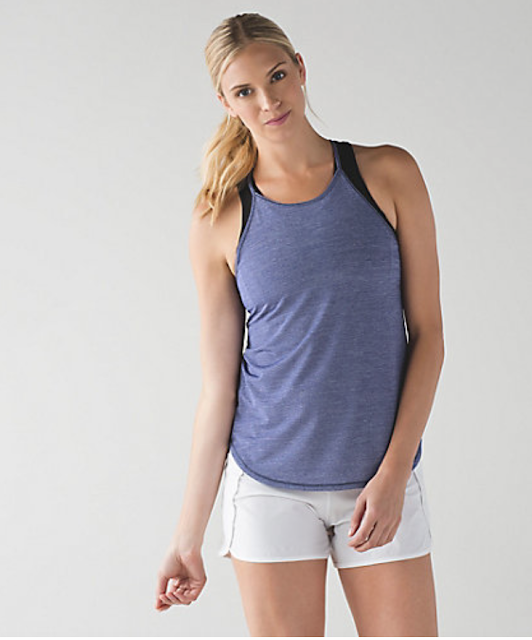 I love the Xersion tanks from Jcpenny. They're normally $20 but with sales and the coupons they always mail I've never paid more than $5 for one. Wow I totally forgot about the upload. First time. I think it shows I am losing interest. I am ok with that. I noticed they changed how sizes are displayed – no longer have to click to drop down sizes. Can now see at a glance what is and isn't available for the colour chosen. Yes, just noticed that! I kind of missed that, so I am glad. Now, if only they would change it so that we can see the colour name when we hover over it, like we used to be able to. I really miss that and find it annoying that I have to click on a colour dot just to see the colour name. I wonder if this is part of "dufflegate" 😉 Those Dottie Tribe duffle bags went back on WMTM for $24…waiting to see if it goes through. Good for those that got one at $24! I thought I saw the Dottie tribe duffel for $89 this evening…maybe I missed the $24?? or maybe my eyes are failing. It is good to see an occasional nice price (even if not intentional) amidst all the recent pricing hikes. The pricing hikes, quality changes , similar product output are helping me to be extremely choosy & selective….. I humbly admit that I should have been more selective/choosy way before the pricing changes. I have been too addicted but now I can move on. Anon 5:02pm LOL Dufflegate, good one. You would think whatever problems they had this morning would have been solved by now or maybe the poor guy responsible for "dufflegate" got the boot and they are scrambling to find someone else who can do the drop! I tried to order a pistachio crb this morning on WMTM & my order was cancelled an hour later. Not sure why. Happened to me this morning as well. In the old days I would have been so frustrated but today I said, 'Awesome, lulu! Thanks for saving my money for me!' I meant it too. Same here! Normally I would have called GEC right away to see what was up, but today I was just like, meh. Really disappointed Canada didn't get the DSP in Greyvy but I would really love Street To Studios in this colour. Getting a closer look at the Essential Tank there looks to be too much fabric in back. As happy as I am they made a tank without holes in the back this one might not work but will look for it in store. 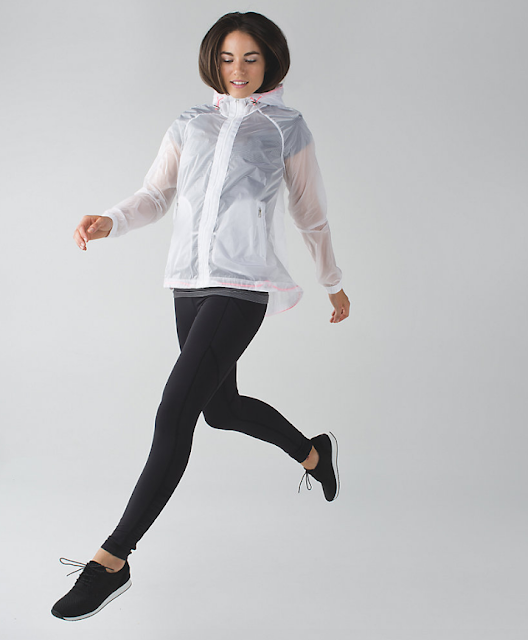 I am surprised to see another lightweight sheer jacket especially in August. 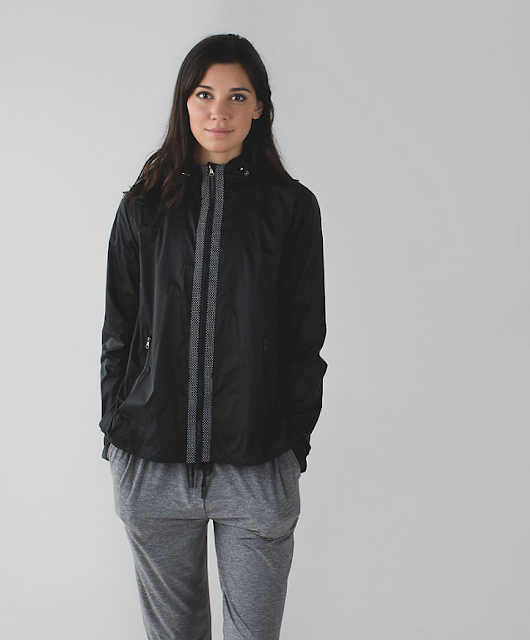 There hasn't been one lightweight lined technical jacket this summer. The last one we got in Canada was the Gather Me Slightly in the Spring. Total snooze fest. The increased prices are so off putting as well. Where is the innovation? The same styles and colors keep coming out. Bordeaux drama?? Again? Where are the tuck and flows from Australia????? I'm waiting for those. I got the true red CRB II. Really like the fit of them. Same here. Surprisingly, I think I prefer them! me three!!! I prefer CRB II and am so happy to see more colors! yay! I ordered the sweater. I am a huge sucker for their boolux sweaters. I ordered the True Red CRB II and the True Red Fly Away Tamer II Headband. Anyone know what yin time is made of? Boolux? So weird that items don't show up on what's new which I noticed from last week. I'm interested in the red sculpt but I might wait and get the new ctb in red. Nothing so far. got the true red, white, black CRB II and the new 17" run crop in blue. Got the deep navy mesh speeds. I've been waiting for solid navy speeds for a while, and these will def work. Nothing else as I shouldn't be spending any $ anyway. I'm obsessed with the long line RSYB (because hello cute crop top with pockets) but I told myself two weeks ago "no more sports bras". And unfortunately told my boyfriend to remind me if I tried to buy any more! Preview of wrap in the wonder under pant photo? Hope so! True red race pace shorts and energy bra. Love that color. Not liking anything in this drop that makes me want to open my wallet. Some of the new colours are wonderful but I don't like the product. 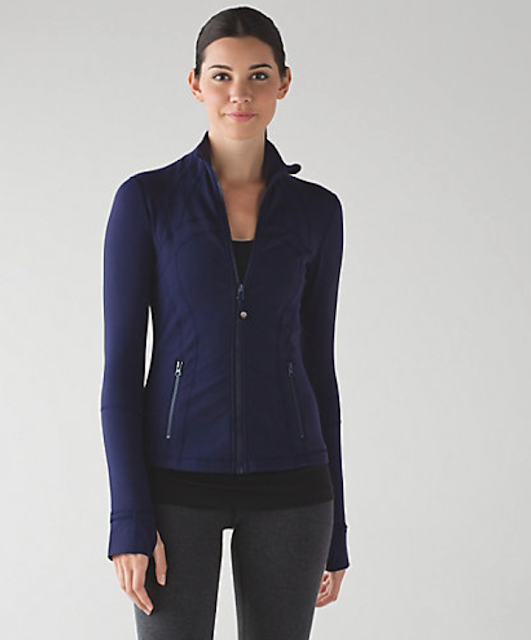 As a Canadian I am so not impressed with Lululemon in regard to the pricing. 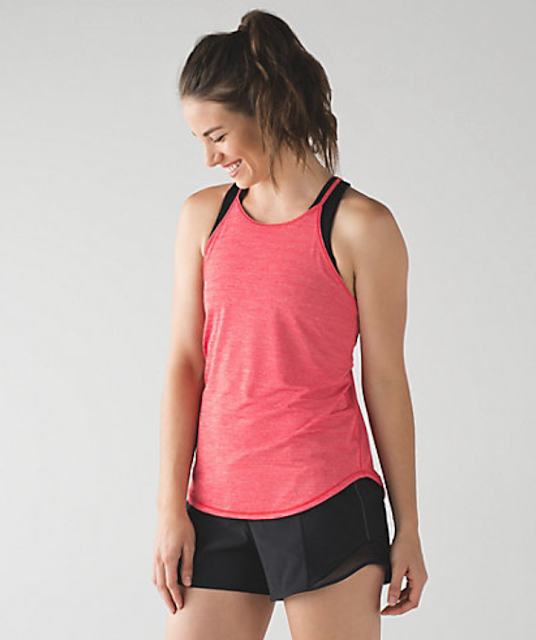 The Fast As Light Singlet pushing $70. for a plain front and hole in the back tank is crazy and the Essential Tank although it has more fabric is lacking in design for the price. 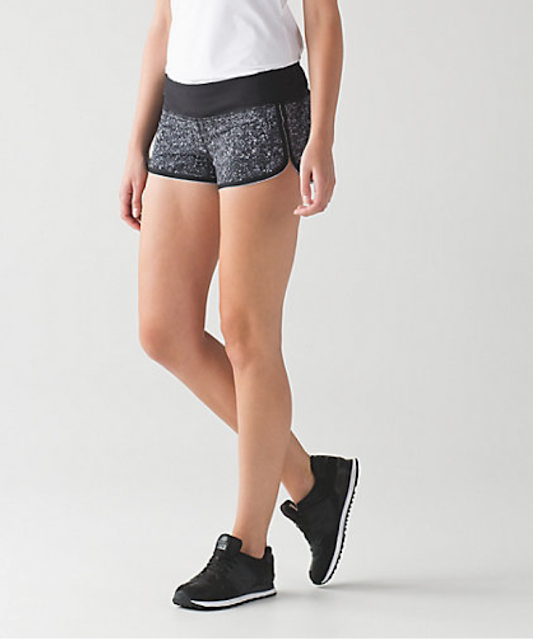 The two new shorts with tiny inseams and no design elements other than new hems are now pushing $70. 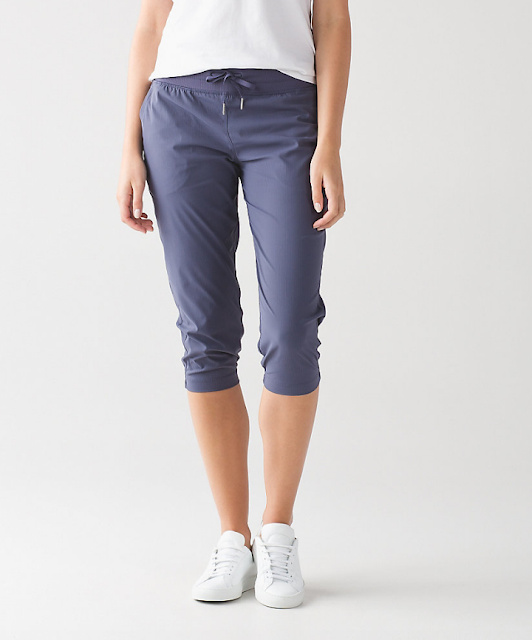 How about 17" inseam crops that are 1/3 mesh for $108. plus tax? Yes the colours are nice but not enough to tempt me to buy. An honourable mention for crazy pricing goes to the Run Around Tee pushing $80. for a PLAIN, yes I said PLAIN s/s light luon top in two non-colours we have seen a thousand times, grey and black. Then to top it all off we Canadians get less product on WMTM, the product we get has less colour options and yes we pay more for it. On the positive side, I do like the Greyvy DSP, Oh Canada didn't get those! Well said anon 5:33 am! agree with you anon 5:33am! they need a wake up call. we sure had ours with these recent price increases. My thoughts exactly Anon 5:33am! 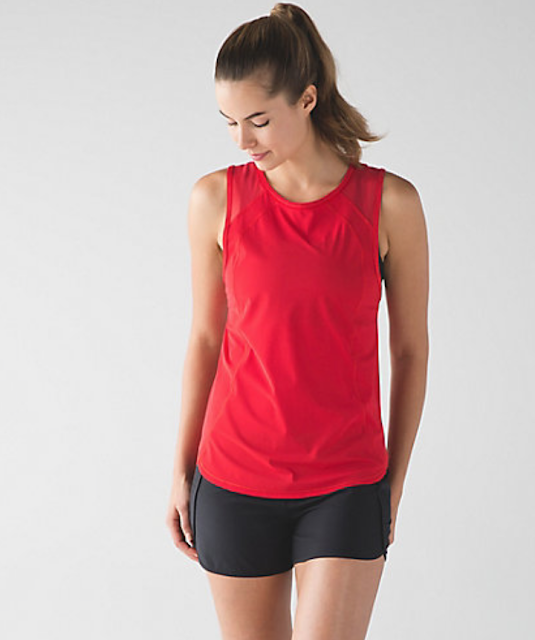 I liked the same items: Fast as Light Singlet and shorts (that mention 3 storage pockets but they only show one that might fit a key) but couldn't bring myself to spend over $60 for either. Same with the Run around Tee. $74. For a t-shirt. I like the items, but not the prices. 🙁 I have to LOVE it in order to bite at these prices. AGREED! Dumb name as it's not even. I agree. I think Currant has been the only true blue based red. Hi Anon 10:28 and 4:21 😛 this is anon 3:52. Thanks! I will check it out still. Still very useful to know! I ordered two pairs of clearance pants from Athleta. $45 each and regular return policy if I don't like them. I'm going shopping there sometime in the next week for their new fall items. 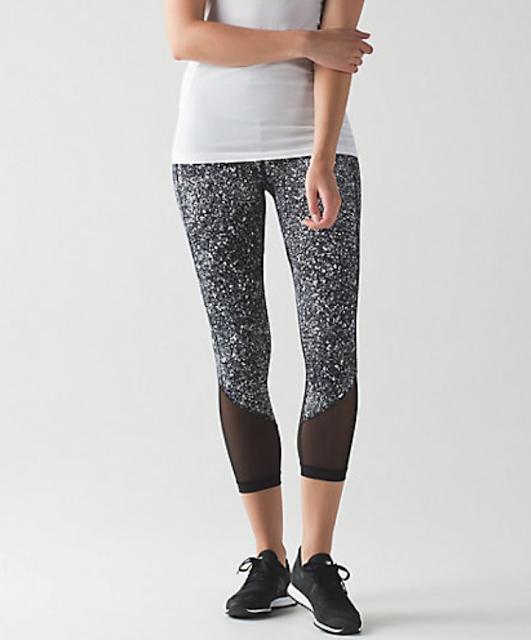 Also going to order from Werkshop and hit up the Sweaty Betty store next time I'm in nyc. 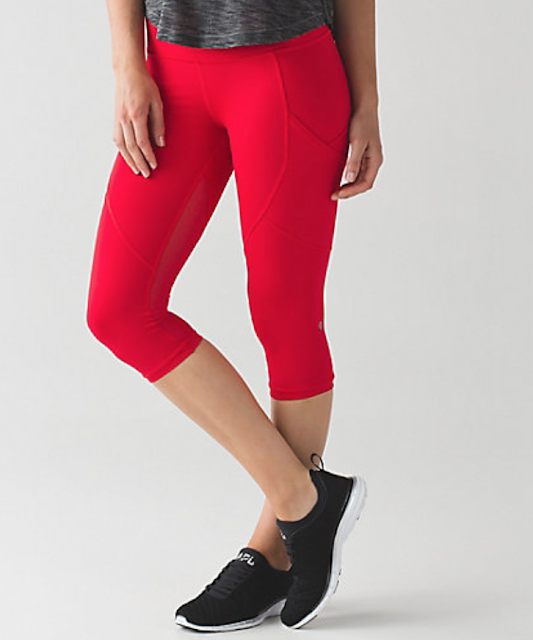 Except for hotty hot shorts and maybe a winter run pullover if it hits wmtm, I'm pretty much done with lulu (still doing resale sites for discontinued faves though).